Lee and Tracey Gatlin are a husband-and-wife duo that run a business out of their home. 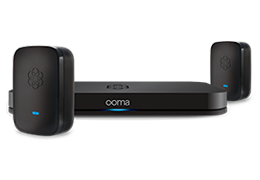 Managing the office phone system was a big point of strife within their company, so they gave Ooma a try to see if it would work for them. To our delight, they were so thrilled with Ooma that they wrote us a wonderful letter telling us about how Ooma has helped their business. With Tracey’s permission, we’d like to share their story with you. Tracey describes her previous phone setup as like playing “a game of monkey in the middle.” It was her responsibility to field customer calls about appointments and billing, and her husband was responsible for calls about deliveries and pickups. Unfortunately, there were endless scenarios where she was caught in the middle, relaying information between the customer and her husband and back again. Tracey was smart to acknowledge how important these customer interactions were. In fact, 71% of consumers have ended their relationship with a company due to poor customer service, and 61% of customers take their business to a competitor when they end a business relationship. She started doing her Internet research, and although at first it seemed like a good solution, she was worried about some of the complaints she read. Would it be too difficult to set up? How clear would the voice quality be? 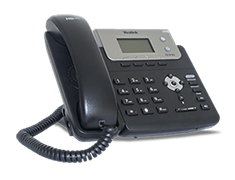 Would porting the business phone number lead to long delays? And so she ordered the Ooma Office Kit with two Linx. Although her husband didn’t have the “‘it’s just what we needed’ reaction she was hoping for,” he agreed to give it a chance after it was set up. “The initial box setup, SUPER EASY! I followed the instructions, waited for the orange light to turn blue, picked up the phone and had a dial tone! SWEEET. I have to say I was a little nervous because it did take the orange light about 10 to 12 minutes to change to blue, which had me believing I did something wrong, but the instructions said it could take up to 15 minutes, so I was patient. I set up my login with Ooma Office online effortlessly! Once logged in, the layout was very easy to navigate and to understand. I never had any problems understanding where to start. Now the part I was most looking forward to programming was the virtual receptionist. This is honestly where I spent most of my time during setup. I entered the saying I wanted her to say and, when played back, noticed she spoke rather quickly, and I worried it may be difficult for some callers to understand her. However, with a little ingenuity, I was able to triple space between words and also use punctuation to slow her down. Once I got it audible to my liking, I set up our extension options; press 1 for appointments and billing (which forwarded calls to me), press 2 for pick-ups (which forwarded calls to my husband); also set up an option to leave a voicemail. I went onward to set up our business hours and after-hours recordings. Tracey was done in just a few hours, saying that the majority of her time was spent fine-tuning the Virtual Receptionist. With the new system, customers were able to choose who they wanted to speak to, business calls were never missed and callers could be transferred back and forth so there was no more juggling customers. Not only were Tracey and Lee pleased, but their customers found it to be simple and easy too. “Just as I had hoped for, it was perfect,” said Tracey. Well, gee whiz Tracey, that’s wonderful to hear! To learn more about Ooma’s small business solutions, visit https://www.ooma.com/small-business-phone-systems/.